On March 19th we Left Florida and took a couple of days to travel to Chippokes Plantation State Park in Virginia. Daniel White, the former Asst. 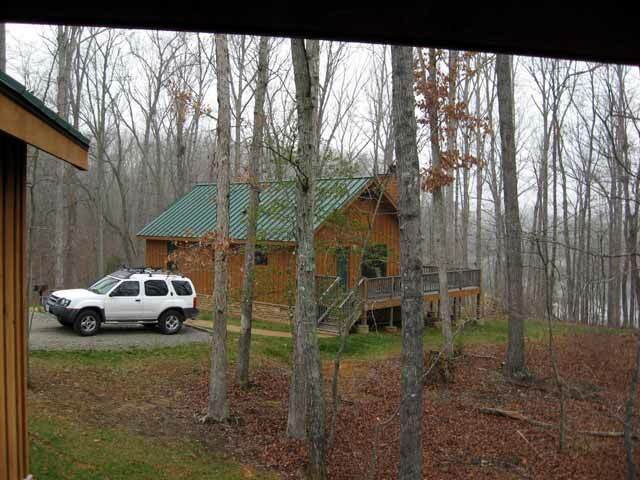 Manager at Grayson Highlands State Park recently got a promotion and is now Manager at Chippokes. 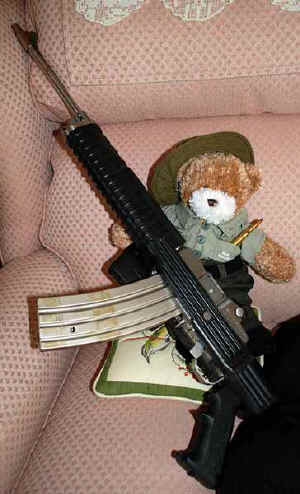 He asked us to visit and do a few projects. 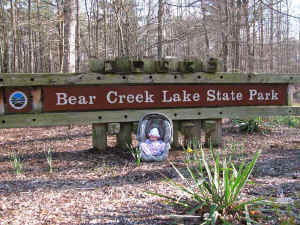 We stayed until the end of April volunteering as Park Hosts. Judy worked in the Visitor Center answering the phones and taking care of customers. I worked on their computers, networking them and changing how they connect to the internet. Judy also spent a few days picking up 28 bags of trash along the highway. We also started a web page for the Friends Group. 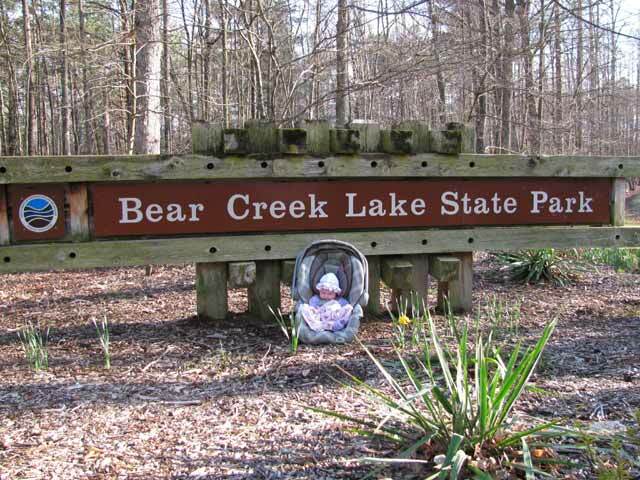 You can learn all about the park there. 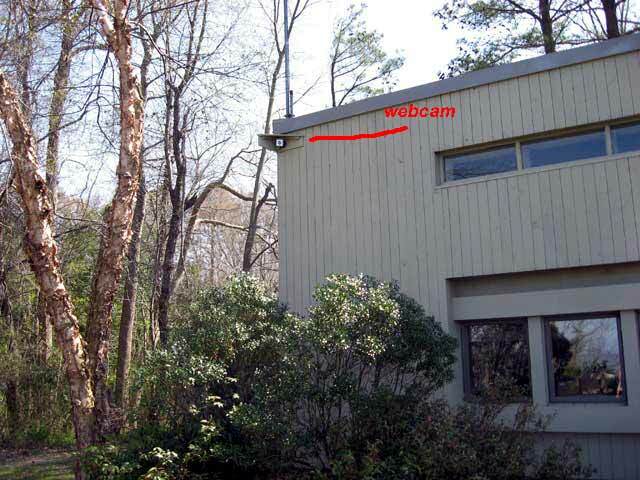 One project was installing a weather station and a web cam for their Friends Group. 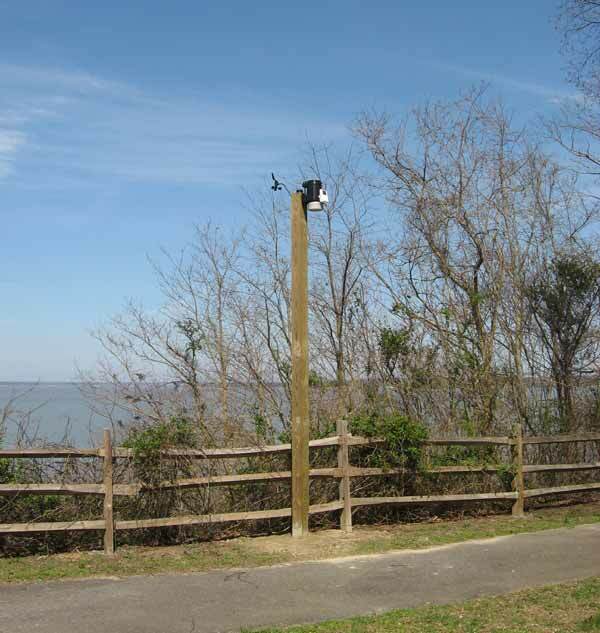 We "planted" a pole and mounted the weather station. 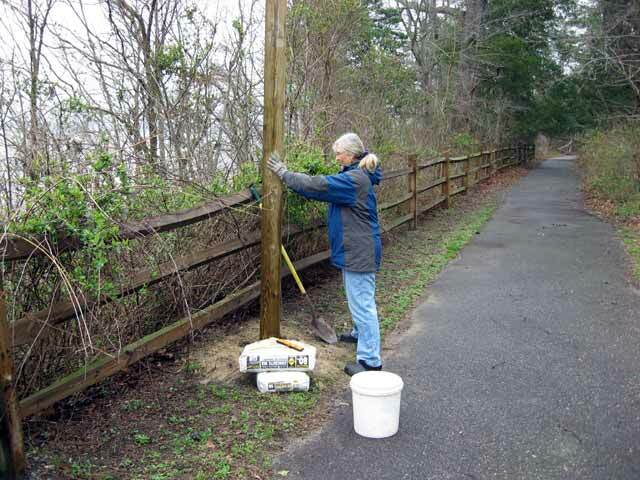 Judy held the pole while the concrete set. You can see the results here. 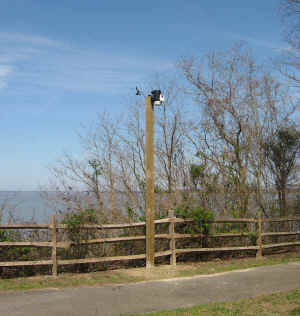 The camera was mounted on the Visitor Center facing the James River. If you could see it, Jamestown is directly across the river. You can see the picture here. 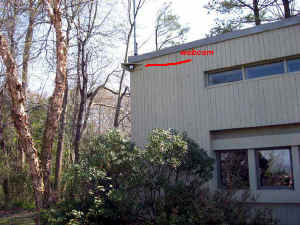 The park was using a satellite connection for their internet. We converted to using cellular air cards which are faster and cheaper for them. We were then asked to visit another park (Twin Lakes) that needed to improve their dialup connection. 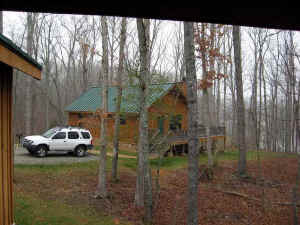 We stayed in the cabins at Bear Creek Lake State Park with Daniel, Jennifer, his wife, and new addition Emma. We visited Twin Lakes the next day and did a survey to test how good their reception would be. 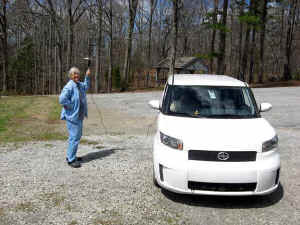 Judy held the antenna during the test and Daniel ran the computer. 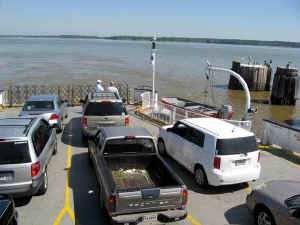 While staying at Chippokes, the closest shopping is Williamsburg just across the river. 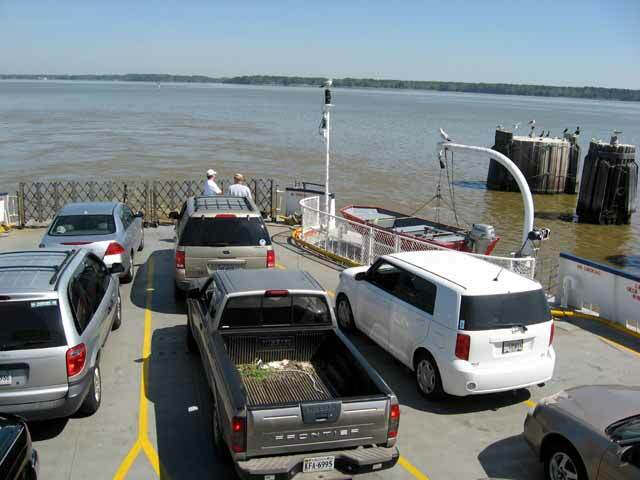 The closest bridge is 40 miles away so the shortest access is by way of the ferry. It's only a couple of miles across but it takes almost an hour after waiting, loading and unloading. We tried to avoid going across. 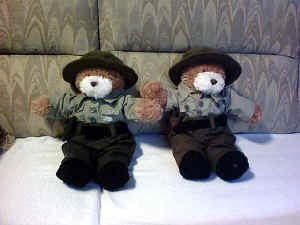 While we were in the Visitor Center we found some relatives of Bearister, our ranger bear. This is Bearister with his cousin Barney who went to live with John and Jane in Texas. He now guards their ranch. 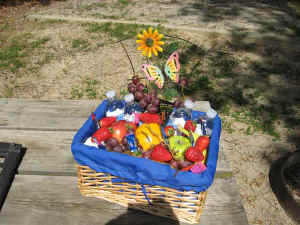 Before we left the employees of the park gave us a nice fruit basket. We enjoyed our stay and hope to return in October.